Swing Trading Strategies is precisely designed for traders and investors wanting to create wealth and income holding positions a few days to weeks. The course teaches you a thought process by building technical concepts upon each other to be a profitable swing trader - and without spending a lot of time in front of a trading screen. Click over the icons to learn more. Using Master Trader Technical Strategies (MTS) we determine were price will not go in the short-term! (MTM) combines specific chart patterns -- and volatility analysis to sell short-term expiring options to generate income every week. Weekly options expire every week – most of them worthless – that makes then a great tool for weekly income. Hover over the icons to learn more. No matter what type of price action is happening in the market, Master Trader swing trading strategies will give you the right bias to be long, short with confidence - or to stand aside . This Seminar will teach you how to find, place and manage swing trading opportunities to profit in a few days or weeks. Trend trading opportunities at the right location where prices are ready to resume the trend puts the odds with us. With an advanced, yet simplified way of using moving moving averages, it allows us to know the trend in multiple time frames while only using our primary time frame. This making multiple time frame analysis fast and accurate. We use a top-down approach that defines where the institutional money is flowing into and out of. Swing trading preparation makes the process of what and when to place the trade simple. Greg's automated scans and charting pages that find the trends and candlestick patterns taught come with the course! Your course is followed up with coaching sessions (they are recorded) and email support. You're a Student for Life! Swing Trading is an easy way to generate wealth and income. Low Stress easy to follow strategies over days or weeks. Candlestick Bar by Bar analysis that shows the turning points every time. Learn how to use failed patterns as a strategy and to your advantage. You do not have to sit in front of your computer all day. Swing trading can be applied to all stocks - even low-priced stocks. Module Description. You will learn the Master Trader foundation of swing trading; the time frames used and why, the trend cycle that repeats and trader psychology throughout it. You will learn why the widely accepted technical analysis tools based on the indicator-based mythology has failed and why so many still use them. Module Description. You will learn how to put together the building blocks of a trend analysis technique that makes defining the trend and trend changes black and white. You will never be confused about the market's or a stock's direction again and what your bias should be to profit from it. Module Description. You will learn how to know where support and resistance are without subjective analysis tools that do more to confuse than bring clarity to your analysis. Learn the VOID concept and how supply and demand can create new resistance or support. This builds on other concepts that create profitable strategies. Module Description. If you're like most that have studied candlesticks, you have learned about candlestick names like Dark Cloud Cover, Doji, Spinning Top and others that suggest an outcome. There is no need to know those names. They are not going to make you money. You will learn how to read exactly what a candlestick chart is communicating to you about the actions, beliefs and expectations of others. And how to profit from it. Module Description. You will learn how we as "price pattern" investors and traders use candlesticks on a Bar by Bar on a continuous basis. You will know what Every Pattern is signaling in the moment and how to read whether that signal is continuing or if it is signaling a change. You will have the knowledge to read the confirmation signals of what preceded it or the lack thereof of. Trade with Confidence. Module Description. You will learn how and why Master Trader uses this one subjective analysis tool. By using moving averages as visual aids to speed up our analysis -- and how to read the trend of multiple time frames from one time frame, your analysis will be fast, accurate and simplified. Module Description. You will learn how to combine Multiple Time Frames (MTF) together for maximum swing trading profits. 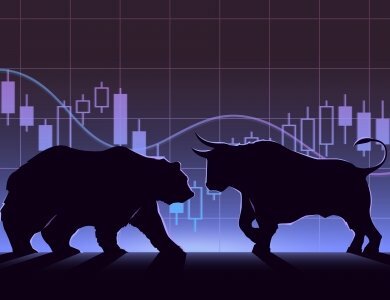 We are primarily trend swing traders, but our MTF technique combined with Bar by Bar technique will teach you how to profit at the start of the Micro trend reversal when the Macro trend agrees. Module Description. You will learn that the best technical strategies and methods are only one part of the professional swing trader's tools for success. Without proper Position and Money Management, your chance of long-term success are slim at best. The course will provide you position and money management tools to trade like a pro. Module Description. You will learn how the top-down approach to swing trading shows you what financial institutions (mutual funds, hedge funds and money managers) are thinking about the broader markets. Then what sectors they putting money into or pulling it out of. We can then find the stocks within those sectors that are showing relative strength or weakness. Next, you will learn the market internals we use to time the market. Module Description. You will learn the scanning analysis techniques to find the swing trades setup learned. As part of your course, Greg's personal scans and chart layouts will be shared with you to have. Module Description. You will learn the exact setups to trade based on the course and then review many examples to reinforce all that has been learned. You have an arsenal of them to refer to for life. And, of course, you will have all of this reinforce for life in the ongoing coaching sessions that are included with the course. Though self-education that started in the late 1980's Greg developed his first swing trading strategies. Those strategies changed over time and became more advanced as the markets changed. They are detailed in the Swing Trading course. The Master Trader Swing Trading Strategies course makes swing trading simple. It breaks down each concept into 12 educational modules. You will learn the swing trading strategies Greg uses every day in the Master Trader Green Room to create income and wealth. In the Swing Trading Course, you will learn how find opportunities and how to profit from them with an extraordinary level of clarity. Once you have signed up for the course you will have instant lifetime access. And follow up coaching sessions.